The Ultimate in Vehicle & Personnel Security. Built to stringent manufacturing and environmental testing standards the TAG system provides years of trouble free operation and outstanding performance in the most demanding conditions. The TAG’s award winning security and safety features ensures that the fleet, facilities and personnel are protected with 24/7/365 with geo fencing, real time tracking and pro-active condition alerts. The TAG system is GPS/cellular based system which means carrier grade uptime and no need to erect communications infrastructure such as WiFi repeater towers. The TAG System comes with a comprehensive tool set to help operators control vehicle operating costs, reduce labor efforts in maintenance reporting, and efficiency management. • The TAG System provides detailed route analysis so you can determine if routes are effectively maximized. • Idle alerts to determine extended periods of fuel wasting non-productive vehicle idling. • Detailed reports that take the guesswork out of maintenance scheduling and proper vehicle rotation. 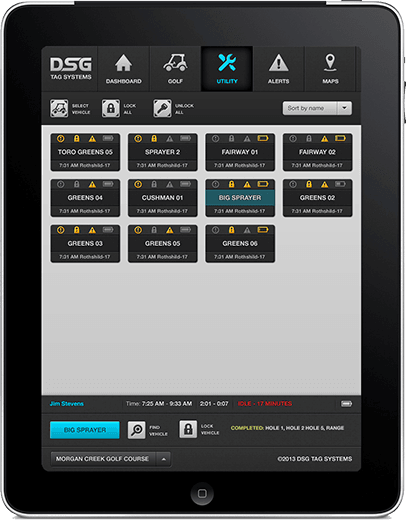 Web based anywhere/anytime access gives the operations team real time monitoring of all fleet activity from any computer, tablet, or smartphone. Geo-Fencing can prevent vehicles from entering or leaving a defined area and notify you with an alert of such activity. The TAG system is ideal for monitoring daily Garrison use, convoy operations, disaster relief efforts, and Coalition/United Nations operations.Each TAG unit comes with a Lifetime Warranty. Even if a vehicle is "Off Property" the TAG System can pinpoint its exact location using street maps. Vehicles can be "locked down" at any time to prevent unauthorized use. Head office: 312-2630 Croydon Drive Surrey, British Columbia Canada V3Z 6T3 Canada. © Copyright 2019 | Vantage Tag Systems | All rights reserved. We’d love to provide you with more information and show you a demonstration. One of our Fleet Solution Specialists in your area will get back to you. Join our International team of distributors providing the best selling and award winning Fleet Management solutions to your customers. Please fill out the form below, we look forward to speaking with you. Please fill out the form below and a Fleet Management Specialist will get in touch with you shortly. We look forward to speaking with you.